The damage caused by the 7.8-magnitude November 2016 Kaikōura earthquake to the Main North Line railway and SH1 along the east coast of the South Island was unprecedented in New Zealand. The North Canterbury Transport Infrastructure Recovery alliance was set-up to restore the road and rail networks. The 2016 earthquake generated the strongest ground acceleration (external link) ever recorded in New Zealand and caused widespread damage throughout the South Island districts of Hurunui, Marlborough and Kaikōura, closing both State Highway 1 (SH1) and the Main North Line railway between Picton and Christchurch. With close to a million cubic metres of rock and material falling onto the coastal transport corridor, Kaikōura and the surrounding rural communities were isolated - all roads and the rail network in and out of the area were damaged and closed by the slips. 15 December 2017: One year, one month, one day on from an earthquake which changed the lives of so many people, it was an honour and a privilege to hand back to the local community and the traveling public their road, SH1, both north and south of Kaikōura. It was a day of mixed emotions, of reflection, of sadness, of optimism and of passion for achieving this milestone in such a short time. We reflected a lot on what it’s taken to deliver the rebuilding and reconnecting of the railway, the harbour and the road networks following the Kaikōura earthquake. While the final push to open SH1 north of Kaikōura – a milestone achieved in December 2017 – was astounding, 2017 was in fact a full year of effort from so many people working across the road, rail and harbour. More than 1700 people from across NZ and around the world joined together to repair and renew the coastal and inland transport networks. Making this animated video helped us revisit the extraordinary steps taken to reconnect communities. This is ‘our story’ about the work to reopen the harbour, rail and road. On 23 November 2018, KiwiRail joined hundreds of locals and special guests in celebrating the return of the Coastal Pacific passenger train with a special service from Picton to Christchurch. The North Canterbury Transport Infrastructure Recovery (NCTIR) was set up by the government late December 2016 to restore the earthquake damaged infrastructure between Picton and Christchurch. NCTIR is an alliance partnership between the NZ Transport Agency, KiwiRail, Downer, Fulton Hogan, HEB Construction and Higgins. The rebuild is a massive undertaking. The earthquake generated the strongest ground acceleration(external link) ever recorded in New Zealand, with widespread damage throughout the Hurunui, Marlborough and Kaikōura districts. The scale and complexity of the damage to State Highway 1, the Main North Line railway and the Kaikōura marina was unprecedented. The work by NCTIR included reopening the road, rail and harbour but also involves repairing and rebuilding the transport networks to be safer and more resilient, helping keep everyone better connected in the future. When will the repairs be finished? The Main North Line railway is live with freight services and the internationally acclaimed Coastal Pacific tourism experience is back up and running. State Highway 1 (SH1) reopened on 15 December 2017 one year, one month and one day after the devastating earthquake. Work is continuing to bring the road corridor back to its pre-earthquake conditions and deliver the government’s $231 million improvements package. Work is now focused on making temporary works permanent and making road and rail safer. 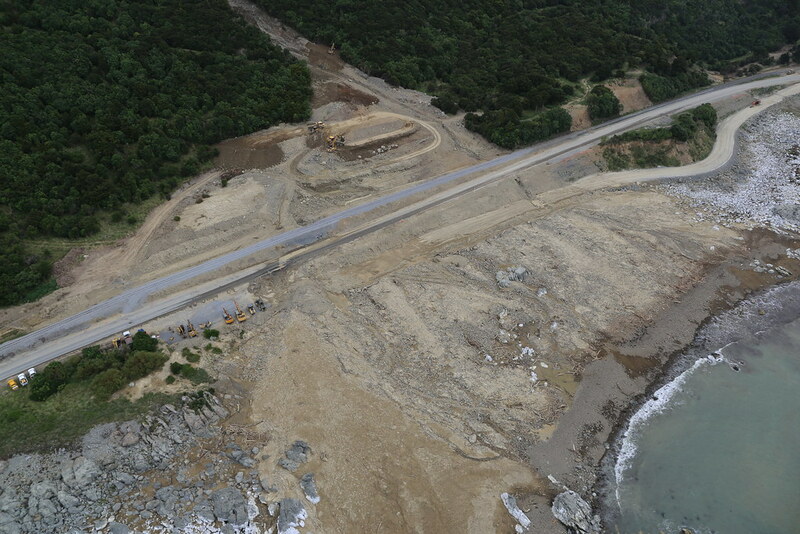 Work is ongoing along the coastal corridor. To find the most up-to-date information you can sign up(external link) to receive updates via the Bulletin – or read it here. How many people are working on the recovery project? 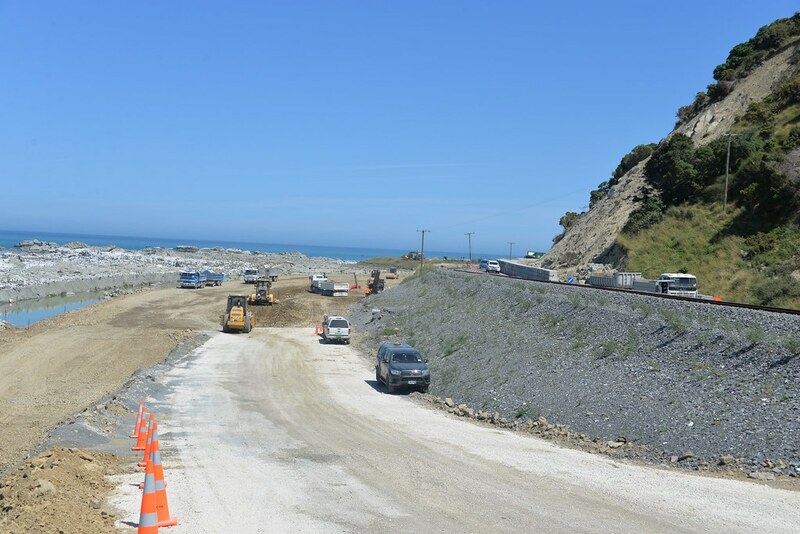 Over 7,500 people from 350 organisations from across New Zealand and around the world have helped to restore the transport corridor along the Kaikōura coastline. NCTIR maintain a commitment to support locals where possible and around 100 people are based in our Kaikōura office. If you would like to connect with us or wish to receive more information about the recovery work north and south of Kaikōura please contact NCTIR on 0800 628 4737 or info@nctir.com If you are interested in work opportunities please email your expression of interest to movingmountains@nctir.com or check out our LinkedIn page(external link).